Children 10 & under are free. We’ve also got some special VIP tickets which include prime parking, beer tickets, speedy check-in, and a commemorative poster! Get two VIP tickets for $100. These won’t be available at the gate. Be sure to buy them ahead of time. Parking: Get premium parking in the main lot at Ijams with the purchase of a VIP ticket. Limited parking will be available in the other lots surrounding Ijams for $5. Please bring cash for parking. We expect the lots surrounding Ijams to fill up early. 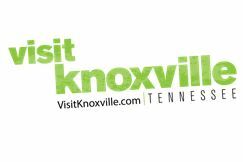 We will also offer a free shuttle from the Visitor’s Center in downtown Knoxville. The shuttle will run from 11:30 am til midnight ensuring that everyone can get to and from the festival with ease! Parking is free downtown on the weekends. Check out this link for your complete guide to parking downtown. Here’s the stage schedule for the afternoon! *Performance times & schedule subject to change. We’re excited to have Dale Watson and Southern Culture on the Skids headlining the festival. We’re happy to announce the full lineup includes the following local performers. It’s East TN’s Own! 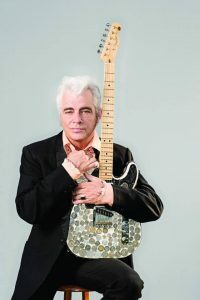 Dale Watson is the keeper of the true country music flame. Dale has flown the flag for classic honky-tonk for over two decades. He’s christened his brand of American roots “Ameripolitan” to differentiate it from current crop of Nashville-based pop country. The Alabama-born, Texas-raised Watson may be the hardest working entertainer today and is rapidly approaching legendary status. He is a country music maverick, a true outlaw who stands alongside Waylon Jennings, Willie Nelson, and George Strait as one of the finest country singers and songwriters from the Lone Star State. The Barstool Romeos are a honky-tonk rock & roll band from Knoxville, Tennessee. They play original music and an occasional cover in a style that screams “old school.” Songwriters Mike McGill and Andy Pirkle from the band, lean heavily on their classic country and rock & roll influences. Bass player, Josh Sidman, has roots in classical music and bluegrass. McGill, Pirkle, and Sidman began playing shows together in 2008, and their original band quickly became a favorite in Knoxville’s music scene. 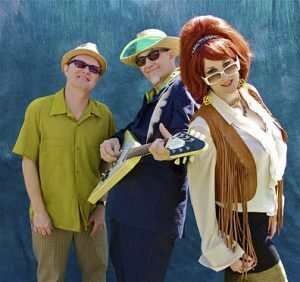 They played in bars, at burlesque shows, at outdoor festivals, and they even opened for Wanda Jackson, the Queen of Rock. In 2010, encouraged by fans and inspired by their accomplishments, the guys reincarnated themsleves as the Barstool Romeos. They have never looked back. 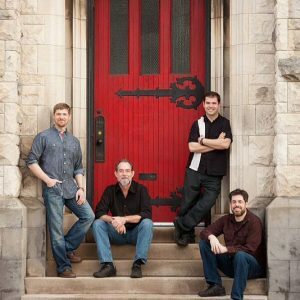 Four Leaf Peat is East Tennessee’s premier Traditional Irish Band. 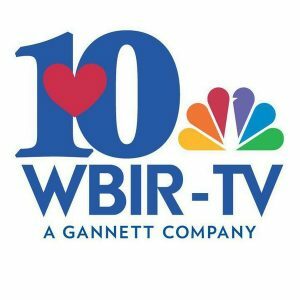 Traditional Irish music ranges from vibrant dance tunes to soulful songs and Four Leaf Peat’s performances are always marked by a keen sense of the tradition mixed with just the right amount of influence from the rich musical history of East Tennessee. Four Leaf Peats unique sound is a result its members various musical backgrounds ranging from Bluegrass and Old Time to Classical. Four Leaf Peat has built their own brand of Irish music that also celebrates the musical bridge that spans the Atlantic. The Grassroots Gringos are an original old-time island-mountain Appalachian Band from Knoxville, TN. They play the fiddle, mandolin, guitar, banjo & bass. A group of five outstanding musicians/friends from Knoxville, Tennessee and the surrounding areas, make the most of their time with their witty songs and their smoking instrumentals. Their wit and humor comes out in every song! The Gringos are here to stay! 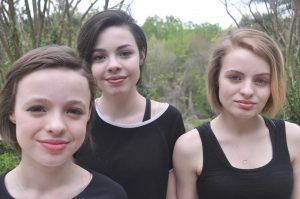 Hailing from Knoxville, TN, The Pinklets is made up of sisters Lucy, 13 (guitar and vocals), Eliza, 11 (drums and vocals) and Roxie, 16 (Piano, bass and vocals) Abernathy. The Pinklets have played petting zoos, clothing store openings, street fairs, and bigger stages alongside some of Knoxville’s best musicians. The band writes all of their own songs, and their sound is defined by their pop melodies and three part harmonies. They are excited to be working on new material and plan to record a full length album in the near future. 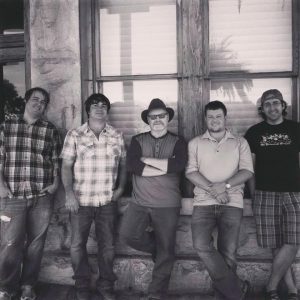 The Pat Beasley Band is an Americana Band from Knoxville, Tennessee that was founded in 2013 by Patrick Beasley. Present line up includes James Gilley on drums and Sam Travis on Bass. Beasley plays guitars and harmonica as well as providing vocals and songwriting. The PBB sound is a unique blend of rock, country, blues, and other genres and influences. Tickets: You may purchase your tickets now by clicking HERE. You may also purchase tickets at the WDVX studio or at Ijams Nature Center. Children 10 and under are free, so bring the whole family! VIP Tickets: For $100 you can get 2 festival tickets, free reserved parking, a super speedy VIP check-in line, 4 beverage tickets, and a commemorative poster! Accessibility: Meadow Lark is a musical experience for ALL to enjoy! The festival grounds are accessible, and accessible parking is available in the main Visitor Center lot. Festival staff will be happy to accommodate specific accessibility requests. Alcohol: Refreshing adult beverages will be available for our 21 and over guests to (responsibly!) enjoy. 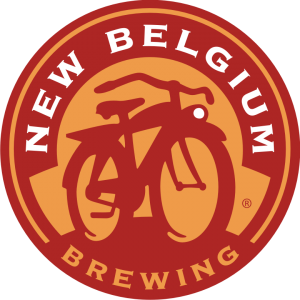 In order to purchase beer, you must present your valid photo ID at the gate and receive a 21+ wristband. Absolutely no outside alcohol will be allowed in the festival grounds! Non-alcoholic beverages, including water and soda, will be available for purchase to help you stay hydrated. 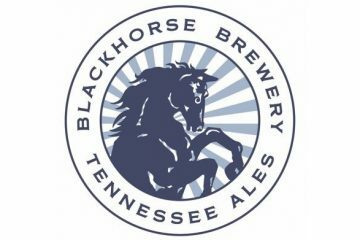 Food: We’ve gathered together some of the best food trucks and vendors that Knoxville has to offer, so come hungry! Food will be available for purchase in the festival plaza all day long. Special food needs? Many of our vendors offer vegetarian and vegan food options. Please be aware that some of our vendors may not accept debit/credit cards. Gate: The festival gates will open at 12:00 pm. Festivalgoers must have a physical, electronic, or will call ticket in order to enter. Please have a valid photo ID ready to pick up will call tickets or to get a 21+ wristband. All guests will receive a wristband which will allow for re-entry throughout the day. Parking: Get premium parking in the main lot at Ijams with the purchase of a VIP ticket. Limited parking will be available in the other lots surrounding Ijams for $5. 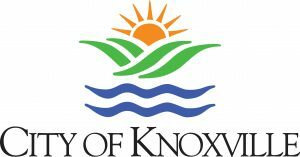 We will also offer a free shuttle from the Visitor’s Center in downtown Knoxville. The shuttle will run from 11:30 am til midnight ensuring that everyone can get to and from the festival with ease! Parking is free downtown on the weekends. Check out this link for your complete guide to parking downtown. Pets: We know that your pooch loves great music as much as you do, but pets are not allowed in the festival grounds. Please leave your four-legged friends at home. Seating: All of this year’s acts will perform on our Outdoor Stage which has lawn seating, so bring a camp chair or blanket to kick back and enjoy the music. Dancing, clapping, and general merriment are highly encouraged. Weather: Meadow Lark will take place rain or shine, so come prepared with sunscreen, hat, poncho, or scuba gear! No ticket refunds will be offered. Have a question that we haven’t answered? Hit us up on Facebook or send an email to info@wdvx.com. 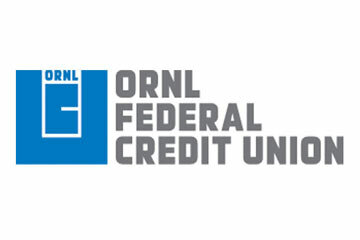 We’d like to thank the sponsors who make this festival possible! Check out these videos from the amazing performers coming to Meadow Lark Music Festival!